87 / Yarn gift card still going. Its funny because Ricky thought this gift card would last for the longest time. I've done good restraining from spending it all at once. But one more stop & about 4 more skeins of yarn & it'll be all used up. I have loved shopping for free yarn though. 88 / Got in fast at eye doctor. When I called to get a doctor's appointment for my bleeding eye, they got me right in. 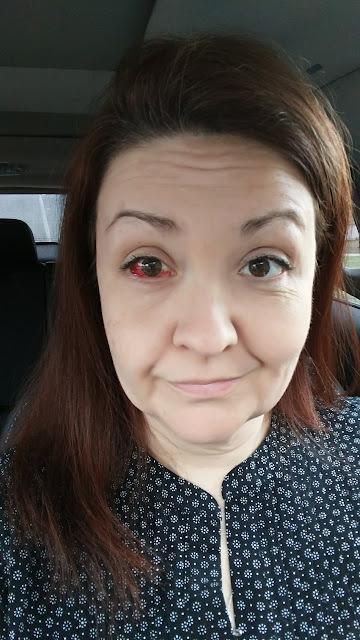 I was having flashes in it which was bothersome & kinda scared me so they wanted to double check my posterior vitreous detachment from October & see if that was OK & not turned into a retinal detachment. They ushered me right in & examined me as soon as I walked in the doors. Thumbs up for that service. 89 / Ricky got glasses! It was funny- while Ricky was waiting on me, he was looking at glasses - & went ahead & asked if they could give him an eye exam since we were there. They did & he ordered 3 pairs! I got to sit in with him while he got his test. Poor boy - I dont know how he functions with his eyes. I cant wait for his glasses to be done & hope they open up a whole new world for him. 92 / 19 of the best girls. 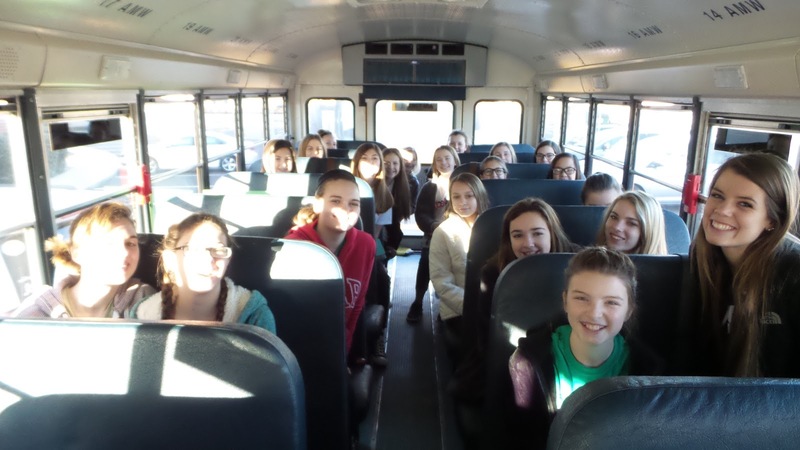 I felt so blessed to be able to hang out & enjoy Believe weekend with my small group of girls. They all were just so special & made the weekend wonderful. 93 / Food for Believe. I have to give kudos to the leaders from MSM that organized the food. They had Chick-Fil-a for dinner for the kids, but they knew I was vegetarian & had me & Ricky a salad for dinner. & there were special snacks & breakfast for the leaders as well throughout the weekend. That was just so thoughtful to take care of us all during the weekend. 96 / Title of Church Mom. 98 / Ricky's first Believe. I so loved Ricky got to experience Believe himself this year. He was nervous going & being a leader at an event like this, but I loved by the end of the time, seeing guys run up & high five him or yell his name for him to come over & hang out with them. 99 / Believe Band used my pic. 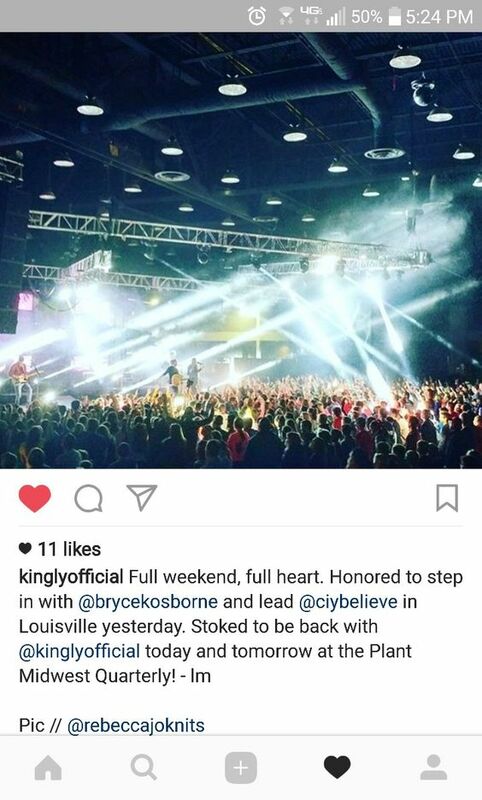 I loved seeing a photo credit from the band that played at Believe after they used my picture. That's always fun. One of my girls got sick on the 2nd day of Believe. Bless her heart. She woke up with a sore throat & had a fever. Strep throat has been running around their school like wildfire too so we knew she probably had that. But it turned out so well for the situation because her mom & dad were there serving as leaders for different groups. So when her friends told me she wasn't feeling good - we were able to get her parents, who took her to the nurse in the expo center... confirming she had 102 fever (WOW!!!) & her mom was able to leave & take her home. God's provision even more so worked because someone had just drove there so there was a car to take her home instead of figuring out how to get back to Indiana. If anyone in that group HAD to get sick, it just worked out so well that it was her so she could have her momma next to her & she got home & in her bed as soon as possible. 103 / No plans on Sunday. The day after Believe, Ricky & I have never been so happy to not have plans in our lives than that day. Harvey Dent & Bruno & Zoe would totally agree as well. I was running the other day on the treadmill & for some reason, it stalled. Not once - not twice- but 3 times. & the third time, it totally jolted me. I immediately thought I hurt my knee or back ... what hurt the most was my neck - it was like a whip lash sort of thing. It was crazy how it happened. I turned it off & turned it back on & it never did it again ... though I am nervous to get back on it now.... but I am thankful I didnt fall or hurt myself worse. 111 / Coworker off work. The stomach bug is STILLLLL going around here at work & I am so thankful when sick coworkers take time off & dont come in & spread it around some more/again. I legit have a bottle of Clorax wipes that I am using for everything & anything I touch. 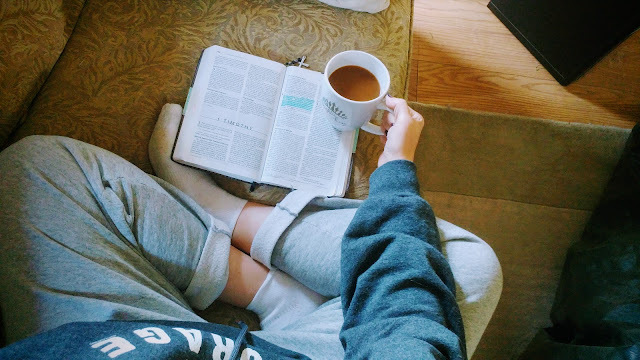 What good things have happened to you this week? How cool that they used your picture and gave you credit. Hope your eye gets better soon. Do they know what is wrong with it or what caused it? Thanks for hosting Thankful Thursday. So glad your eye is okay and the doctor saw you quickly. Glad too for all the blessings of BELIEVE for you and your group. I'm only cruising through a few blogs for awhile, but the best thing this week was getting the keys to our new house!! Yay!! yikes, hope your eye heals fast!! I hope it was good news from the eye doctor!! Yikes, so weird about the treadmill! I would be scared to get back on after that too. I'm glad you didn't fall. I'm glad you were able to see your eye doctor right away and it wasn't bad news! Awww ... that's so fantastic your girls think of you as their "Church Mom". You are lucky to have them and they are lucky to have you. I am so glad you got into the eye doctor. The retina detaching would be awful. My father in law had that happen in both eyes and had surgery for it. So glad you're ok. I get scared of my treadmill stalling and falling off. That would scare me. Aww, I love that they call you "Church Mom"!!!! I hope that eye of yours is healing. Happy for you that you had such an inspirational week. So cool that they used your photo! Sounds like an awesome experience. I'm glad your eye is okay!